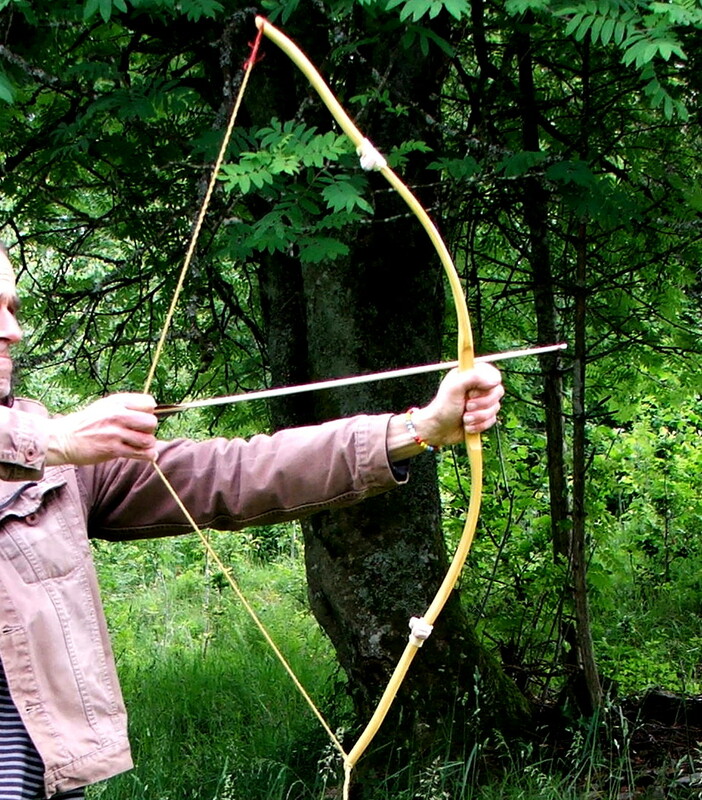 BOW EXPLOSION – Page 3 – Traditonal bowery and archery, real bows´n arrows, no fake no! Traditonal bowery and archery, real bows´n arrows, no fake no! Right now I came across this highly interesting post on the ELFSHOT- blog run by Lori White and Tim Rast, here is the link. The ELFSHOT- blog is in my blog- roll since 2 years, but Lori and Tim are doing such great jobs, so I want to highlight their work today. 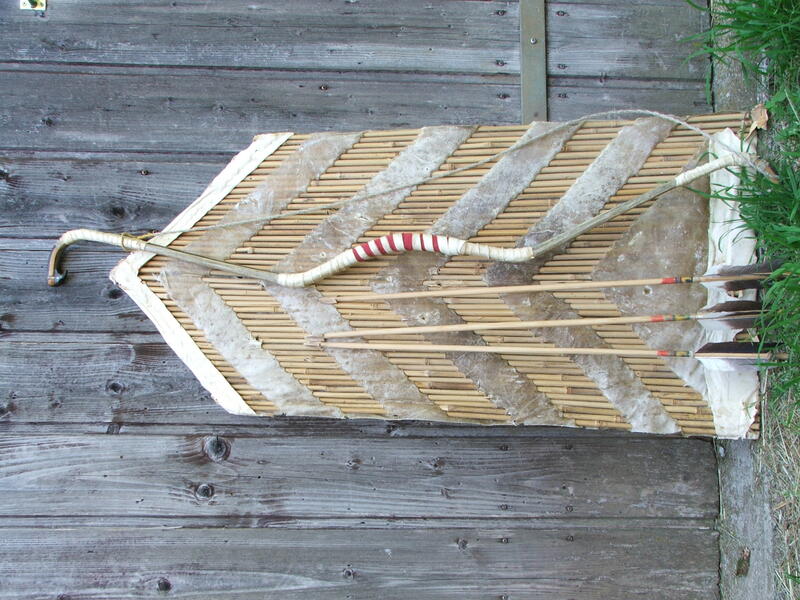 My interest in Inuit- bows has been heavily raised when I’ ve had finished my very fast osage- bow, maybe you remember it. Some original Inuit- bows often made as a composition of woods and bones tied together and enforced with a cable at the back, an art at its own. First post since months – no excuse – just more bows and arrows! Hope you enjoy the bows and arrows posted above, details will be posted soon. I did a lot of bow- classes the last months, our new family members, the mountain- sheeps needed a lot of time: they turned out to be world class escapees, so we’ ve to try out different types of fences. Finally I ended up in making lots of the good old sheep hurdles, I don’ t like to see sheep dying in an electric fence. This winter is really hard, not to cold but snow since five months, I almost forgot how the world is looking without snow. Where is the spring of 2013? Outside it’s still very cold and there’ s still this snow! The yew flightbow- 3 new flight arrows- still want to make 300f/s and 400yards!!! The yew wood for this bow has been dried for 15 years and the hit is, that the bow didn´t got any set till now- it´s a 44″ long shortie drawing 51lbs at 23″. Can´t wait first chronos and flights………………..
the ash longbow- after about 18 years of heavy use no sign of set- a true companion. First trial in cultivating flax- flax loves the salty air of the sea- the sea is far away from here- maybe the fibres will be not as strong as needed for bow strings……. 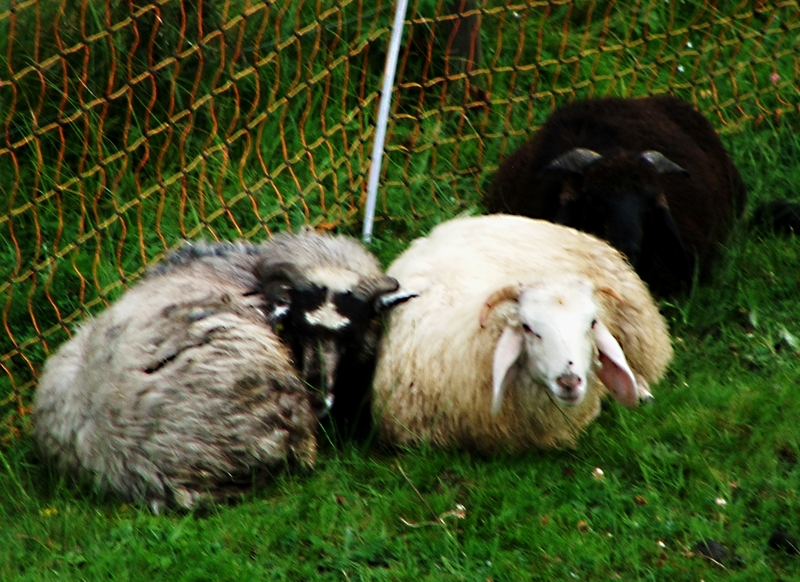 Our sheep(alpine stonesheep)-Carlos the brown ram, Frida on the left, Betty in the middle, they will provide us with wool, milk( precious cheese) and a lots of more sheep……………. Some News and a sale…………..
Getting more and more involved into flightarchery and bow-classes with kids I´ve decided to sale some of my longtime personal favourite bows- I don´t need them anymore. I´ve posted 3 of them here, this is my german speaking blog, if you´re interested in one of these bows or if you want more details and pics post a comment here or send me a mail. The next days there will be more offerings. Next posts are dealing with a new retro-styled flightbow made of yew, some new flightarrows and the final tillering of the crossbow. The summer has finally begun to be hot and our family has grown- 3 young sheep, a very rare breed, an endangered species, the alpine stonesheep, actually there are less than 1000 of them alive. They will provide us with wool, milk, maybe with horn( I even can´t imagine to slaughter the ram, his name is Carlos and he´s such a smart and tough guy). 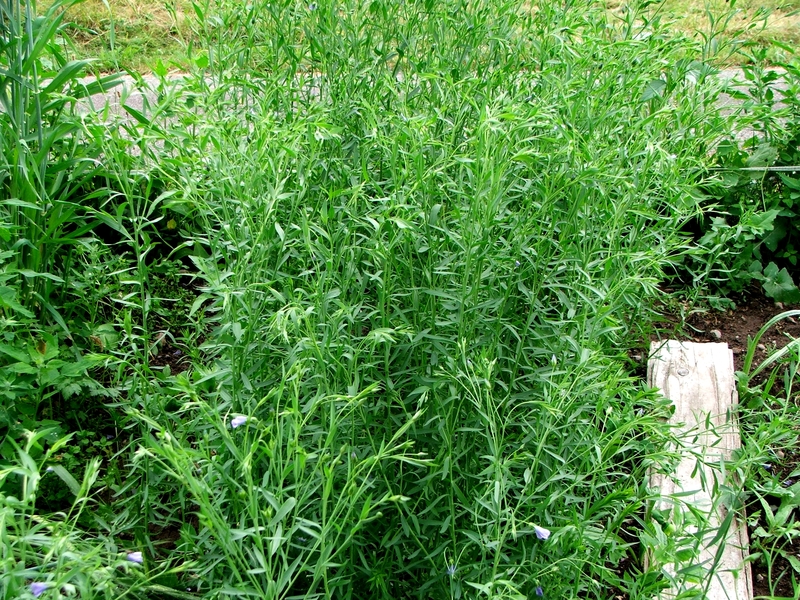 And I´ve seeded flax for the first time, even the summer had been wet and a bit cold, the flax is in flower now- what a great blue-, now I´ve to wait some days before harvesting and drying it for to split into fibers and to make my first homegrown bow- strings. I´ll post the whole procedure in details. Sorry, I´ve lost the pics somehow, I promise they will be posted tomorrow. Speed, Speed, Speed………………….is the place! Recently I came across the following discussion http://paleoplanet69529.yuku.com/topic/11885/Questions-about-really-fast-wooden-bows?page=1#.T69m8JOljb4 in the PaleoPlanet forum. Asking if anybody has made a so- called catamaran– bow in the same forum I got some comments focused on very fast wooden bows: http://paleoplanet69529.yuku.com/topic/50882/very-fast-wooden-bows#.T9YPeZOljb4 in general, but no comment about that bow. I guess nobody has made it to date. I chose the osage bow(2nd from above) and the euonymus bow( at the bottom). The osage bow was 44lbs at 23″. First I made a jig for to steambend the long non- bending tips of the bow into an about 30° angle. The bending worked well, osage is really one of the best woods for to be steambent. I left the bent tips in the jig for some hours, then I heat- treated them for to dry and to fix the angles. Originally I wanted to split the tips with my small bandsaw as Tim Baker has posted it in his comment about the so- called catamaran bow. But when I braced the bow for to check its new tiller, I was heavily surprised by its power and springiness. I´ve made my experiences with split- limb bows when being the bowyer of a research- project focused on the reconstruction of Boeotian and Egyptian bows. Cause there had been some problems with stability I decided not to split the tips. But for security reasons I added some string- bridges, they are thought to be removed when I´ve done the first shots with the bow. The length of the bow is 45″, the handle is 51/2″ in length, the tips are 91/8″ in length. The limbs are 13/8″ at the handle and about 1/2″ at the nocks. 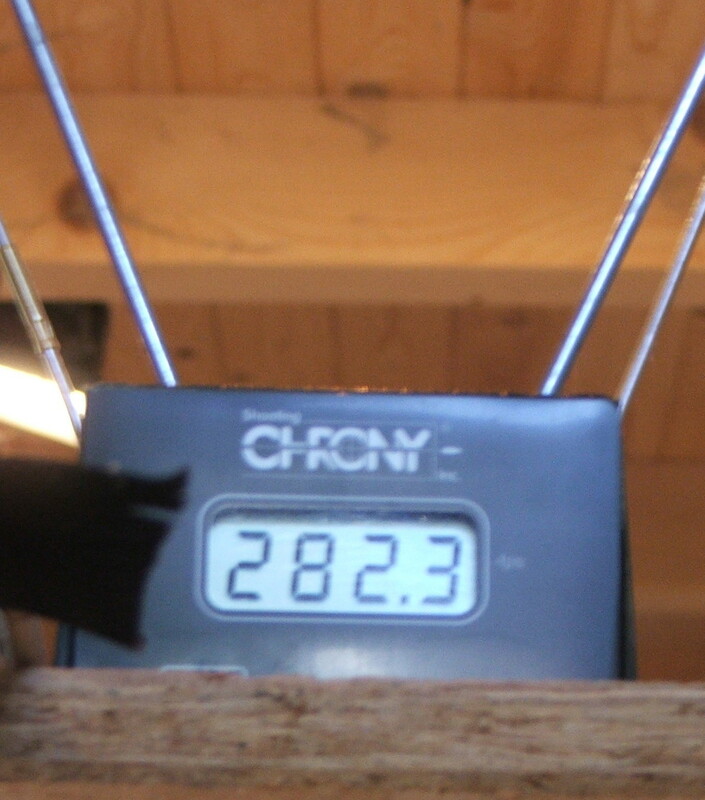 The draw- weight has increased to 51lbs at 23″. I´ve left the tips in their grown shape. That´s it. The chronos were done with a 155grs. hex-shaft made of cedar. The following 8 shots were 240- 255f/s, one last shot for today. I´ve never expected such a killer- speed!!!!!!! I couldn´t help to do another shot, but ended up with 262f/s. To chrono a bow is a somehow a tricky thing, it depends a lot on the release of the arrow, I don´t find myself to be very experienced in speed- or flightshooting, I´ve still to practise it much more. I´ve to thinkover this design and this high speed,actually still enjoying it. Some adds: I was really hesitating to post the high speed of the bow, cause I´m not quite sure what´s the reason for. 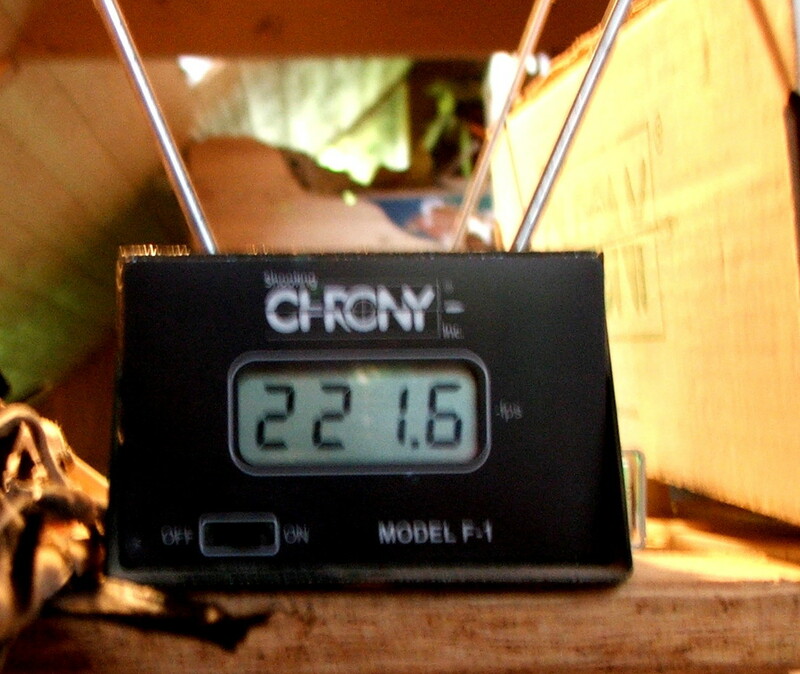 I´m still thinking over it and above all I´ve to do more chronos for to confirm the results. And I hope the rainy weather we are suffering from since weeks will stop very soon for to make the flightshoots with the bow, I´m expecting shots at 350- 400? yards. If I look at the working of the limbs it is very obvious that the further the bow is drawn the straighter the limbs become, so the long tips are not working like static recurves at all. Maybe my wife is right when stating that this bow is built up of 6 bows, 2 longer bows( main limbs), 2 short bows( the transition from the main limbs into the tips) and 2 stiff bows(long tips). Next BowXplosion will be on the modifyied euonymus- bow mentioned above. Don´t be to impatient with the crossbow, it is still in the drying state, cause I´ve had to add another sinew- layer for tiller- reasons. BOWXPLOSION on tumblr.com: a diary with lots of pics of what I´m actually doing, micro- blogging is the future! THE GERMAN BOWYERS community and forum, english spoken too………………. TRADITIONAL ASIAN BOWS and arrows…….